In keeping with our mission of making more affordable space creative entrepreneurs of all stripes, we recently renovated our third floor into art studios. Creative work space being at a premium in this town, it took about five minutes for eleven of them to get snatched up. The largest one is still available, and we’re looking for the perfect anchor tenant for this buzzing hive of activity. 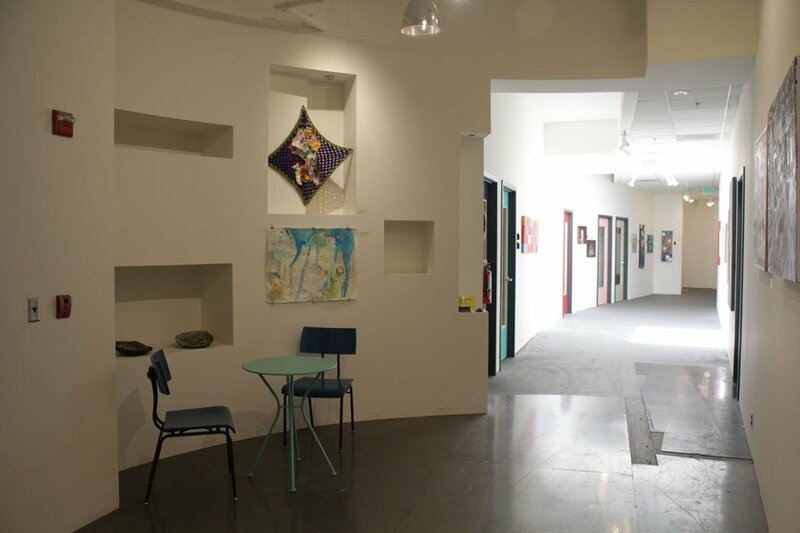 Stability: ’57 Biscayne studios, which occupy the upper floors, encompass an established community of artists.The building, since 2015, has been owned by a partnership that includes artists, and which is committed to providing space to creative tenants as affordably as possible. 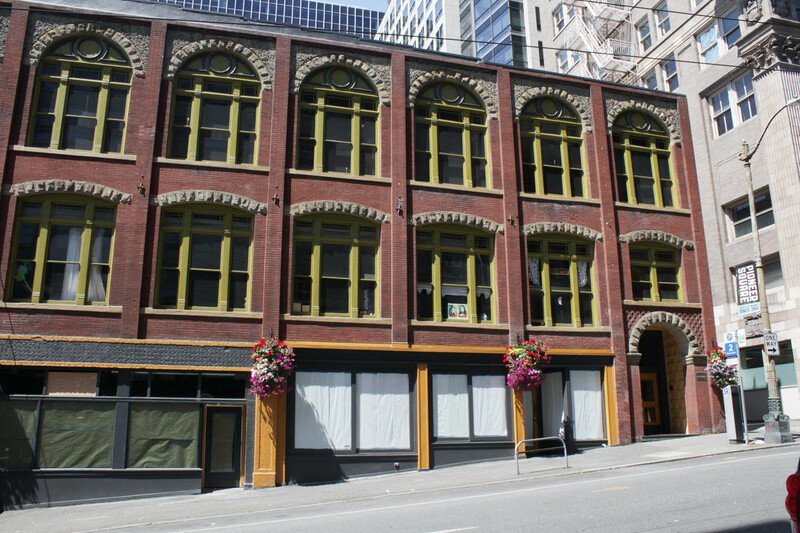 Location: Centrally located; convenient to buses, light rail, ferries. 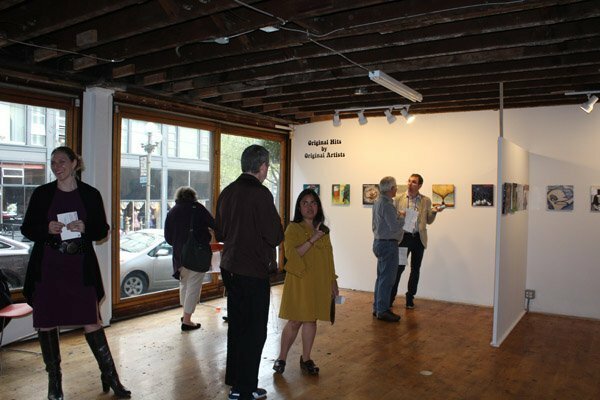 It’s on the route of the Pioneer Square Art Walk, the oldest one in the country. First-floor retail & restaurants in the building attract foot traffic, from tourists to techies. Community: This is the big one. ’57 Biscayne was founded in 2011 by a group of displaced artists in a tight spot, who found that working together was the best way to survive. Today, twenty-eight studios host a mix of fine, applied, and commercial artists and artisans, young and established, who share ideas, tips, techniques, and business savvy, to their mutual benefit. Collaborative teams have been born here. Perks of being artist-run: Proper utility sinks, natural (skylights!!) and gallery lighting, and other details that artists know you need. Artists’ schedules are welcome. As are dogs. A lovely hallway gallery for exhibits. A parklet is coming to the Cherry Street side of the building that is a great blank slate for art events, mini-classes, installations, urban gardening, or just hanging out. An Air B&B space is in the works on the property; special rates will be available to tenants’ clients, friends, & family. Visibility: Because of the uniqueness of our vision, the timeliness of our mission, and the unusual nature of the collaboration between an artist and developer (natural enemies in the wild), we’ve received our share of attention in the press. Reporters who have written about us continue to follow and keep in touch, to see where this great experiment will lead. Photos and other info about the space are on the ’57 Biscayne blog. In keeping with its mission to support artists and other creative entrepreneurs, Good Arts is in the process of remodeling a street-level storefront into two retail spaces and two artists’ studios, all of which open onto a shared central gallery. The Arcade will provide affordable space for the making, exhibiting, and selling of a range of creative goods, and foster a supportive community for the makers and sellers. 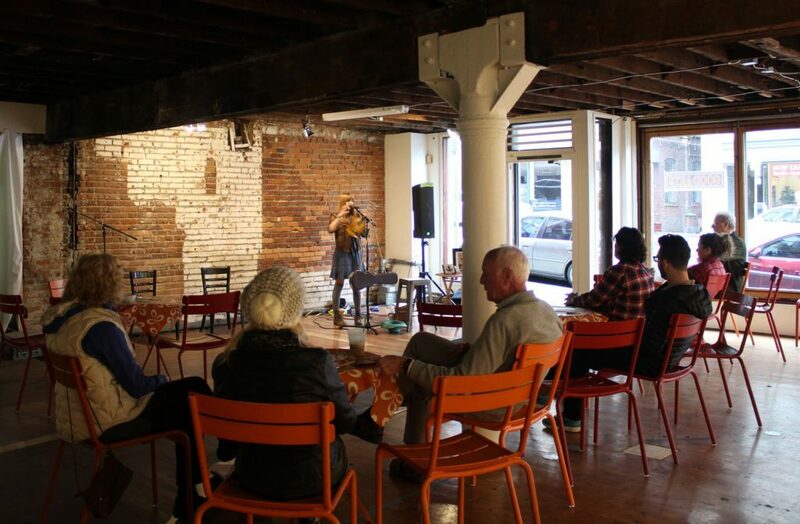 Flanked by the new Cherry Street Coffee House to the west, and the entrance to ’57 Biscayne Artist Studios to the east, Good Arts Arcade is perfectly situated for creative collaboration, fabulous combined events, and synergistic marketing opportunities. The location is well situated for foot traffic from the nearby light rail station, ferries, Pioneer Square park, and a planned streetcar stop at First and Cherry. A parklet will be installed on the street in front of the entrance, providing additional outdoor community space and a potential pop-up show venue. We are seeking creative community builders–artists, gallerists, and human-scale retailers–to work, grow, and collaborate in the Arcade. The spaces will be available September 1 and are still under construction: interior photos will be coming soon. This PDF has a floor plan, square footages, and prices: GoodArtsArcade. Please contact Jane to see the spaces in progress. On First Thursday, August 3, you can get a sneak peek at one of them, when we host Neon Dreamer, an art-meets-video-game pop-up. This area, shown with a pop-up show in May 2017, will become the larger of the two gallery spaces. The future Arcade as one large space, playing host to the Upstream Music Fest in May 2017.